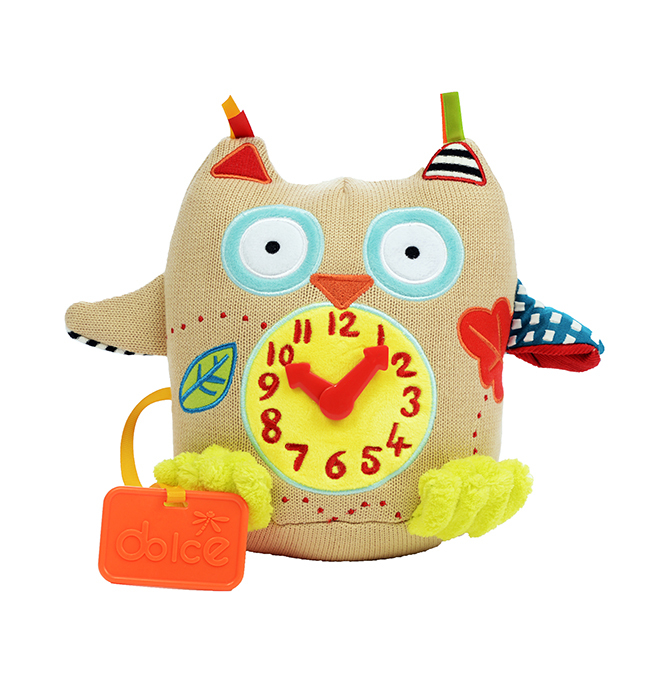 The big clock face is placed in the middle of a friendly owl. The hands can be moved around manually for a child’s first introduction to time. One wing is a squeaker whilst the other is a crinkle. The textured fabrics and bean bag interior make it perfect for cuddles. It also comes with two high quality teethers. 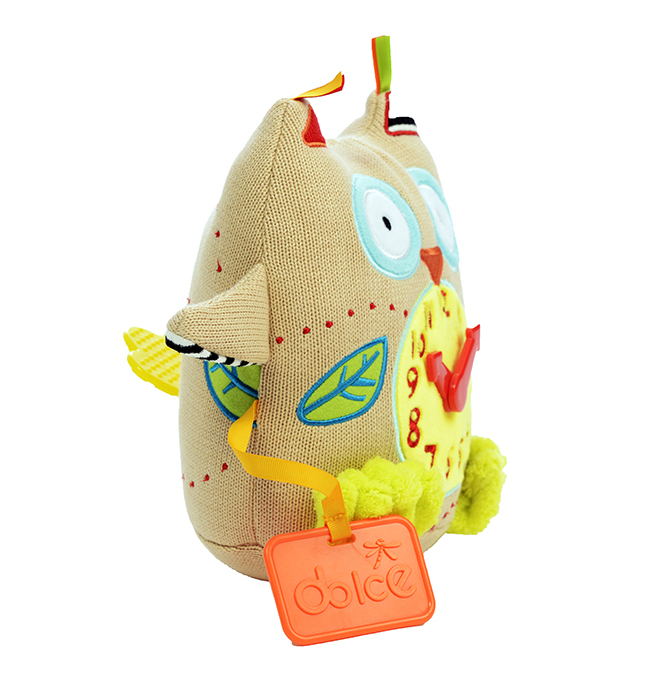 • Sounds: Children will delight in creating sounds through using the squeaker and crinkles. 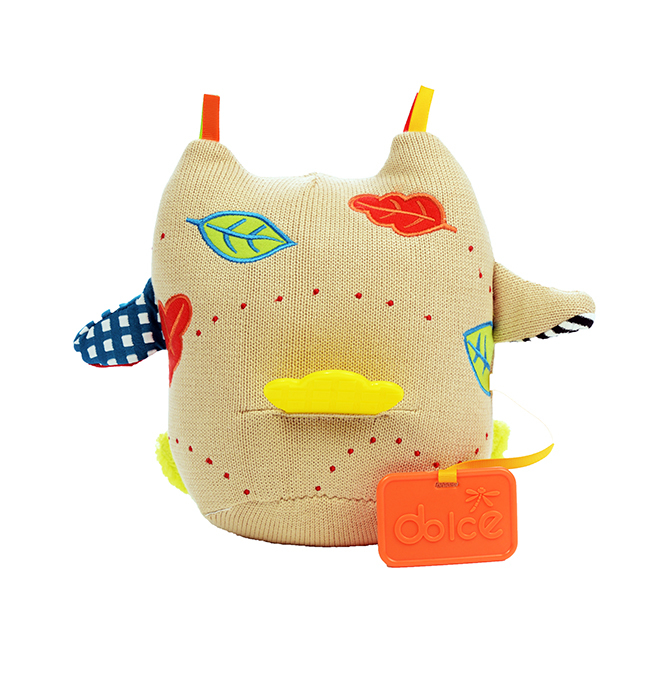 • Touch: The different textures, crinkle ears and moving clock hands are extremely satisfying for children to play with. 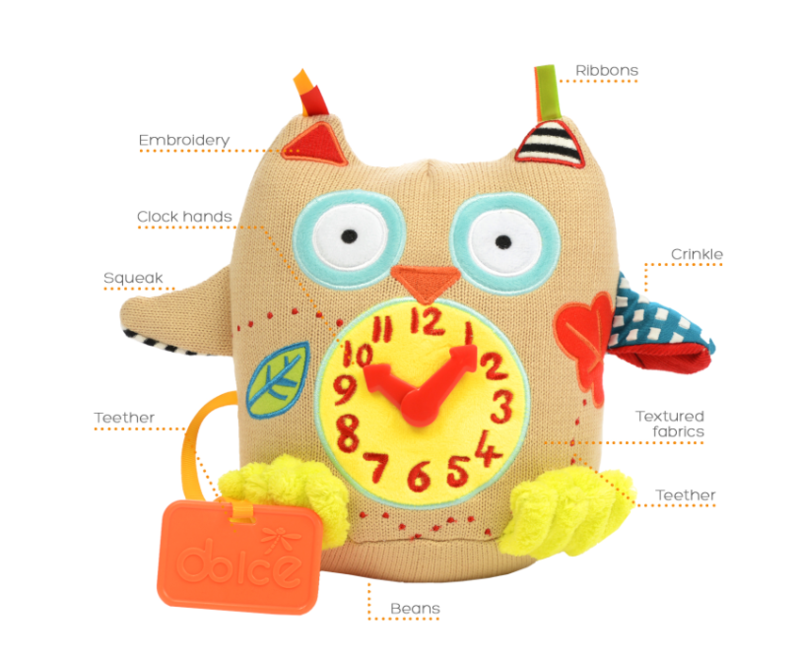 • Helps to connect motor skills with auditory learning by squeaking and moving the clock hands..
• Introduction to time: Children will gain an early understanding about how clocks tell the time.